The entrance to St. Mary's College quadrangle is through a gateway on the south side of South Street. Above the gate is inscribed the motto "In principio erat verbum" which translates to English as "In the beginning was the Word" (John 1v1). Dominating the entrance is a large Holm Oak tree though more famous is a small scraggly thorn allegedly planted by Mary Queen of Scots. Queen Mary's Thorn is just to the right of the willow tree. The quadrangle is a peaceful location just seconds from the bustle of the main street. Sadly the doves which used to inhabit the quadrangle have had to be removed for health reasons. 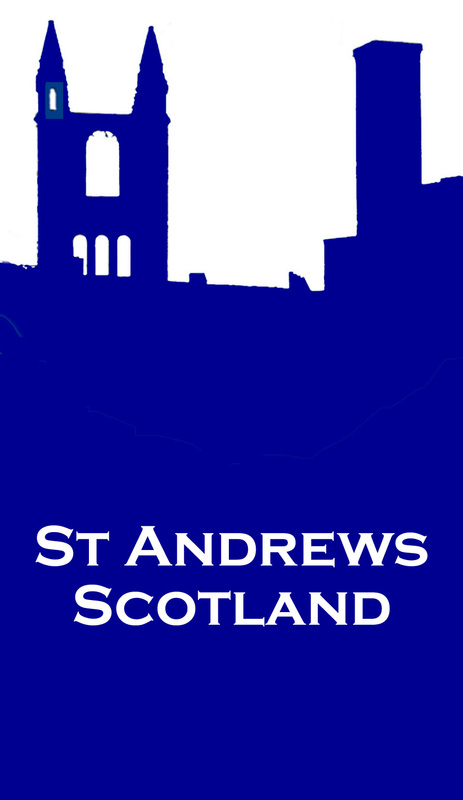 St. Mary's is the theological college of the University of St. Andrews. Originally founded in 1538 by Archbishop James Beaton, uncle of Cardinal David Beaton, St Mary's College was intended to preserve the teachings of the Roman Catholic church against the "heretical" teachings of the reformers. At that time it was known as the New College. It was completed in 1554. Shortly thereafter it become a teaching institute for Protestant reformed theology and a training ground for Scottish ministers. Also in the Quad is the highly rated (5-star) School of Psychology and the Bute Medical Sciences building.